We’ll be your champions inside of Samsung to help build lasting collaboration with Samsung’s far-reaching platform, as well as outside of it to find valuable opportunities with external partners, customers and investors. 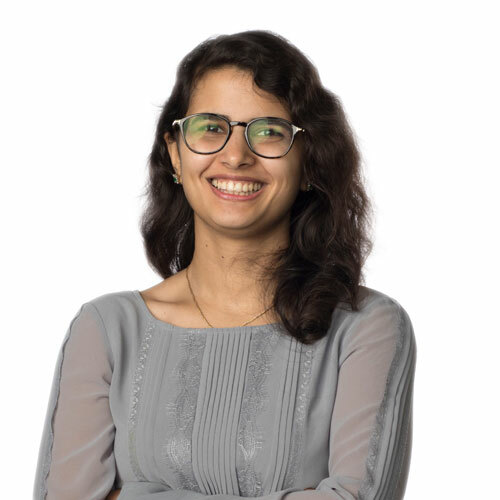 Radhika Malik is an Associate at the Samsung Catalyst Fund, Samsung’s corporate venture capital fund focused on core technology areas including AI/deep learning, cloud infrastructure, smart machines (cars, robots, factories), IoT, digital health and device-level technologies. Prior to Samsung, Radhika was at Panorama Education (a startup backed by Y Combinator, Mark Zuckerberg and Spark Capital among others), where she built data and analytics products for educators. Radhika has also served as a software engineer and product manager at large tech companies including Microsoft and Amazon, as well as early stage startups including MindMeld. Radhika holds a B.S. and M.Eng. from MIT in Computer Science and an MBA from Harvard Business School. We see ideas that are building the future and get to work with the amazing people who are making it happen. Have you received any awards, patents, or other accolades that others may find interesting? I was awarded a Code for America technology award that recognizes impactful government and civic tech products for an app I helped build. I love playing racquet sports (tennis is my all time favorite) and am a huge Bollywood buff.